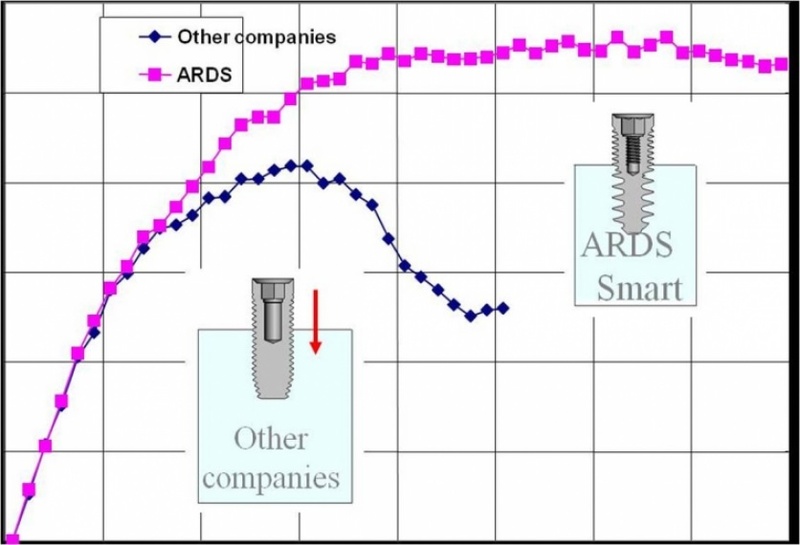 The uniqueness and exceptional geometrical shape of ARDS' Smart implants, combined with ARDS Pin Guided Drilling technique, ensure a reduction of drilling volume along with an additional gain of primary stabilization. The design of the implant was derived from the different qualities of the bone at its cortical and spongiosal parts. 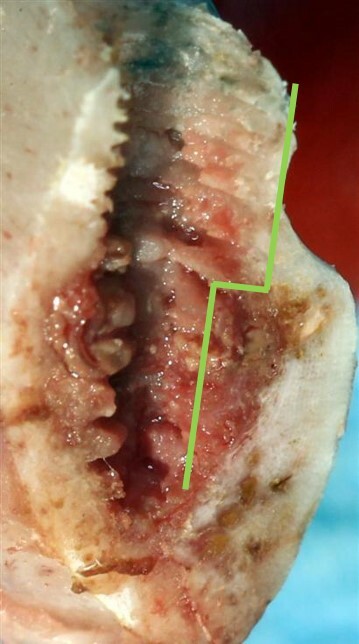 While the cortical bone provides us with a stable grip, it also suffers from limited blood supply and high probability of necrosis due to over-pressure. The spongiosal bone on the other hand, does not provide us with a stable grip but it is compressible and has high blood supply and stem cells which contribute to the healing process. 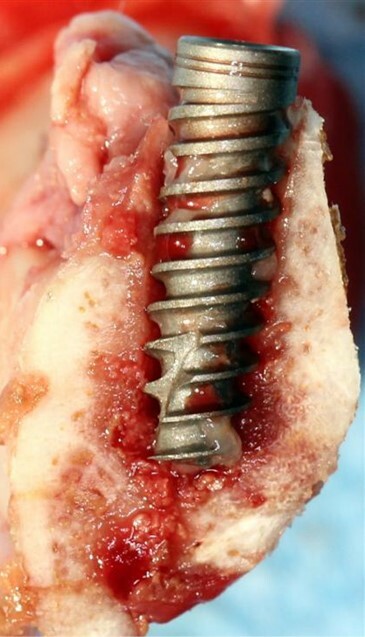 ARDS dual thread implants have a varying screw width. The implant is internal hex or conical and uses a universal 3.75mm platform for all diameters above 3mm. The implant consists of one screw width along the entire implant – the upper part's thread starts at 0.2mm depth and gradually deepens to 0.9mm after 5.5mm from the top. The upper part, 5.5mm long, is consisted of two threads in order to increase the implant's surface area, and is designed to better grasp at the cortical bone without compressing it. 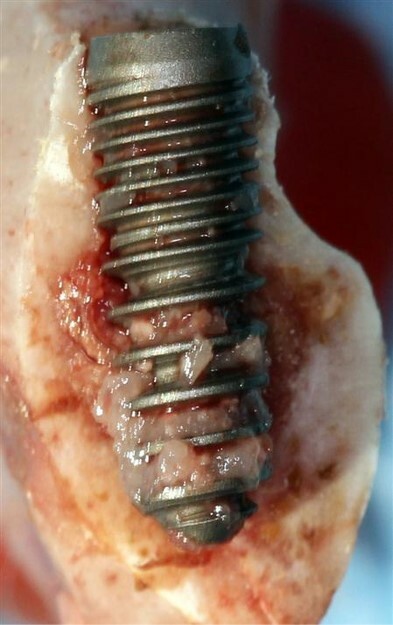 The lower part, slightly tapered, is consisted of 0.9mm deep thread and a wide tread in order to allow better grip at the spongiosal bone through its compression while enabling high blood supply around the core of the implant. This high blood supply is crucial for the bio-activity of the bone. The second thread overlaps with the first and ends after 5.5mm from the top. The advancement of these two threads is identical on the upper and lower parts, so that the implant advances at an equal pace through its entire length. This eliminates any tension between the upper and lower part of the implant. The design of the groove at the appex of the implant enables the implant to cut through the bone and compress it towards the implant's core. 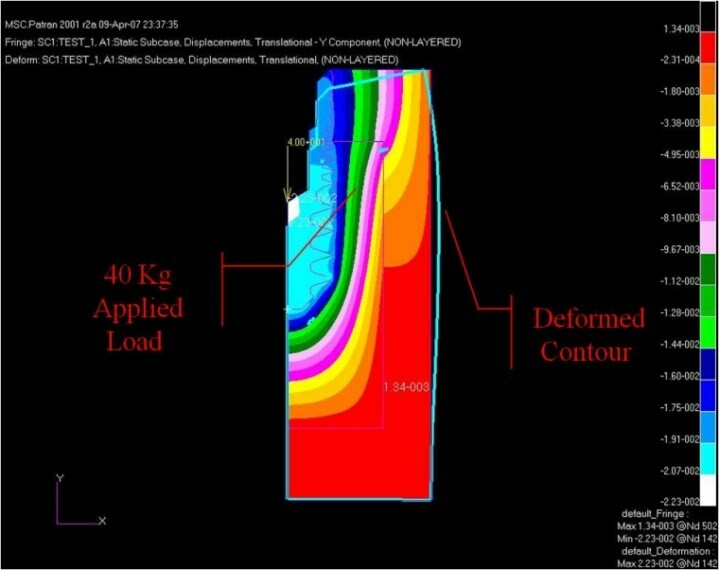 The correlation between the implant's shape and the bone type to which it enters, results in an equal distribution of load forces along the entire length of the implant, (as can be shown in the diagrams below - for the full experiment click here) and an increased primary stability of the implant.